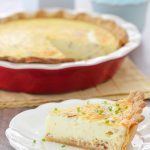 A Quiche Lorraine is a tender, buttery crust that holds bacon, onions and cheese encased in the most delicate egg custard. The custard is rich and creamy but doesn’t feel heavy. You can use other fillings too, instead of bacon and onions, such as sausage, ham, mushrooms, spinach, peppers, tomatoes, etc. This Quiche Lorraine has become an ultimate breakfast/brunch epitome of perfection in our family. Saturday breakfasts have become a special and happy tradition for us. Every other day of the week, we keep is super simple – oatmeal, scrambled eggs, smoothies, etc. 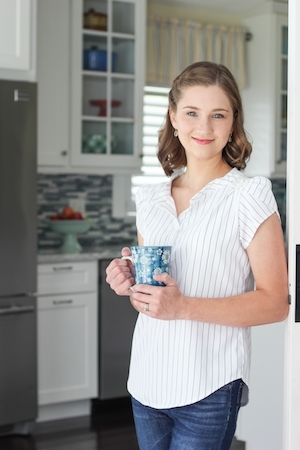 During the week, mornings are usually a rush with everyone trying to get where they are supposed to be – school, work, or some sort of appointment, so we are flying through the house, trying to get out the door in time. Sundays we go to church, so that doesn’t leave a lot of time to linger at the table either. 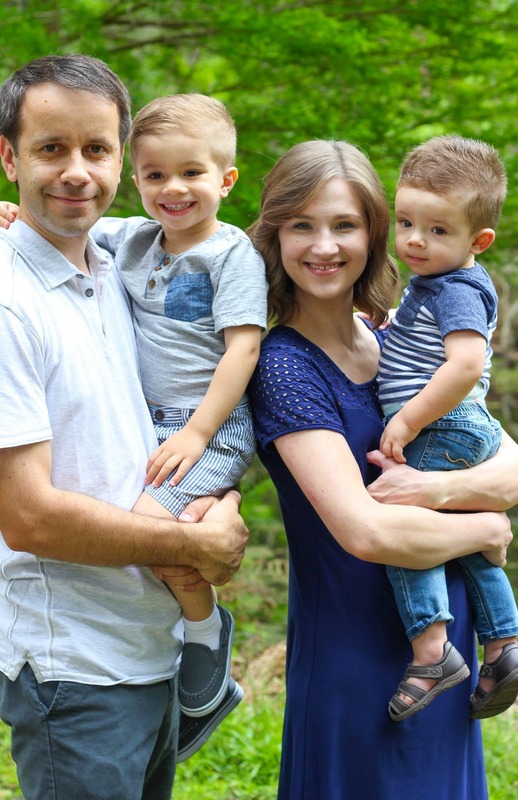 Now that I stay home with our two little ones, they want to be fed as quickly as possible and I don’t want to spend too much time cleaning up after breakfast either, so I keep it simple and quick when it’s just the 3 of us. However, both Sergi and I LOVE breakfast food. This is why Saturday mornings have become a time for us to wake up slowly and we make it a breakfast to make up for all the other days of the week. It is a feast, with both savory and sweet treats, and we love every minute of it. We both really love this Quiche. If you appreciate breakfast as much as we do, you will love it too. 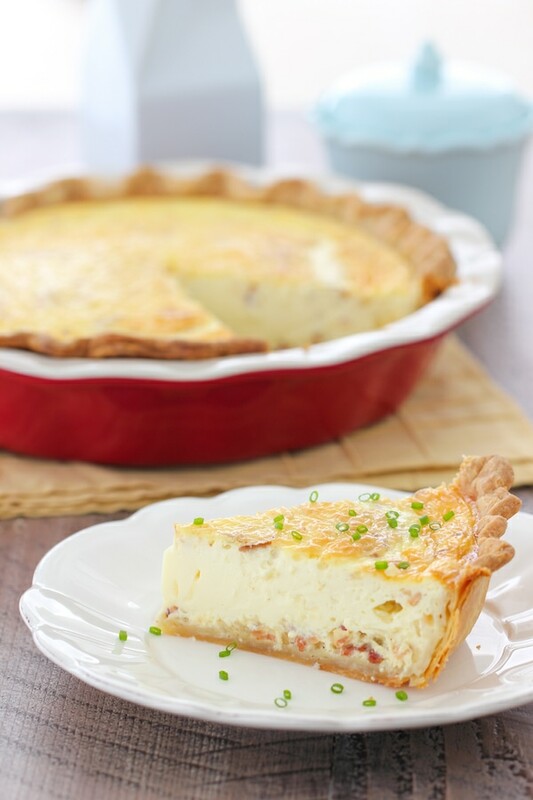 A tender, buttery crust holds bacon, onions and cheese encased in the most delicate egg custard. The custard is so rich and creamy but doesn’t feel heavy or greasy at all. 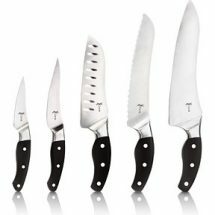 You can use other fillings too, instead of bacon and onions, such as sausage, ham, mushrooms, spinach, peppers, tomatoes, etc. Not only is this Quiche Lorraine so good you will be talking about it the rest of the day, you can do so much of it in advance and not have much to do on Saturday, but still enjoy a complete feast. Here’s how you can break it down: make the crust in advance. You can keep it in your freezer for up to 6 months, or in your refrigerator for a day or two. You can also cook the bacon and onions a day or 2 in advance. Putting it all together is so easy. However, you can also make the whole quiche, bake it and then just reheat it the next day OR freeze it and reheat it before serving. This is so convenient. Sometimes I think it tastes even BETTER when it’s reheated. Keep this in mind next time you are having overnight guests, are hosting a brunch party or just want a really easy breakfast. 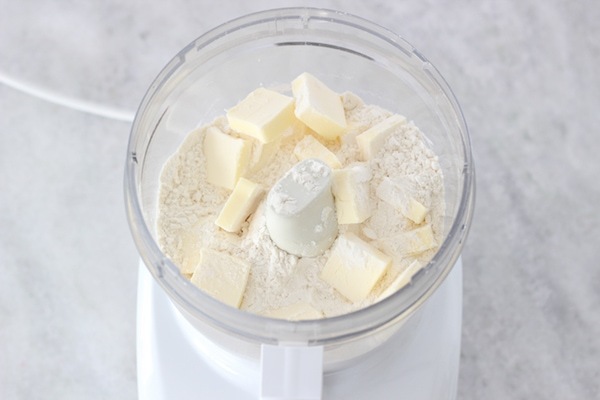 Place the butter, flour, and salt in the food processor, and pulse lightly just until the mixture resembles wet sand. Add the water, 1 tablespoon at a time, pulsing after each addition of water. 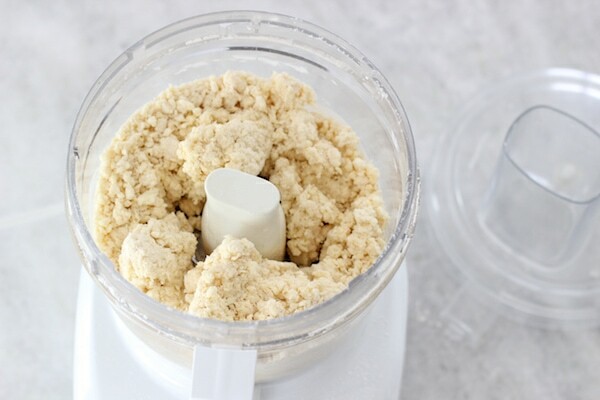 Keep adding water until the dough just begins to gather into larger clumps. Take the dough out of the refrigerator and let it stand at room temperature for 5-10 minutes. 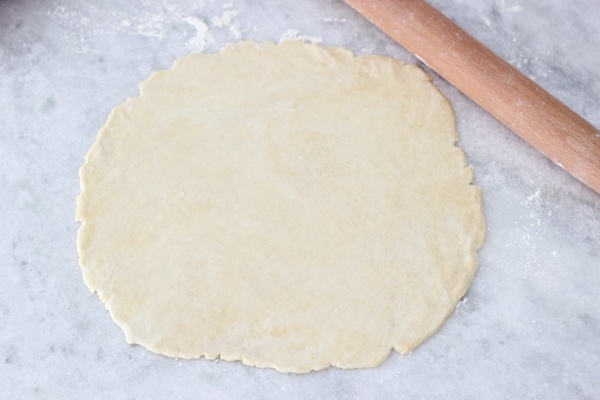 On a floured surface, roll the pie crust out into a 12-14 inch circle if you’re using a deep dish pie pan and 10-12 inch circle. Ease it gently into a deep dish pie plate. Crimp the edges of the pie to make a pretty edge all the way around. 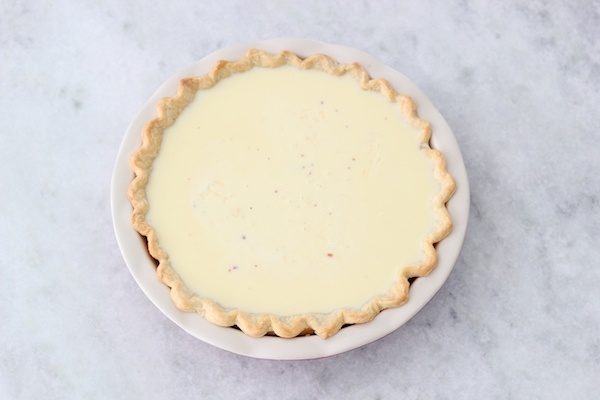 Use a fork to make perforations all over the bottom of the pie crust. Place the pie shell in the freezer for about 30 minutes. Chilling the rolled out pie dough before baking does two things: prevents the pie dough from shrinking and slumping while baking, as well as keeping the pie crust from getting brown too quickly. In this recipe, it’s extra important, because we’re using a large amount of custard, so it needs a long time to cook through. Meanwhile, preheat the oven to 375 degrees Fahrenheit. 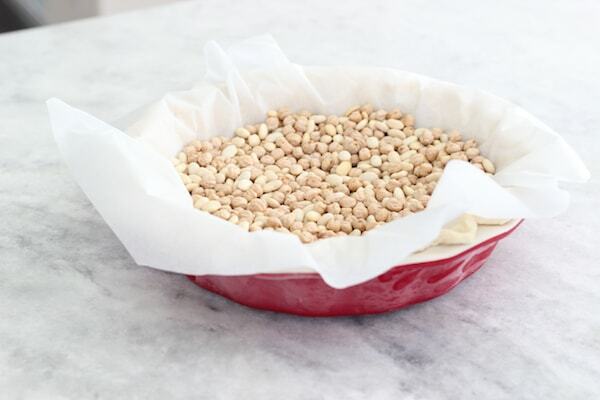 Cover the entire pie with parchment paper or aluminum foil and distribute pie weights or dry beans into the center of the pie. Bake in the preheated oven for about 15 minutes. Remove the parchment paper with the weights and continue baking the pie shell for another 10-15 minutes. 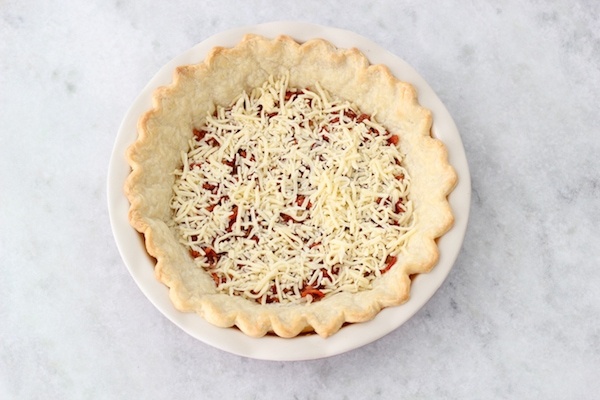 While the pie crust is chilling and then baking, prepare the filling. Cook the bacon over medium heat on the stovetop (or in the oven and then crumble into small pieces). 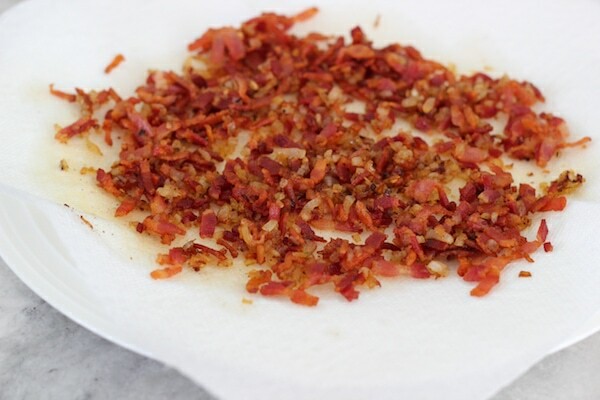 Remove the bacon from the grease and place on a paper towel to drain. Get rid of most of the grease except for about 1/2 Tablespoon and add the onion, if using, and cook over medium heat until the onions are tender and slightly golden, 3-5 minutes. Add the onions to the bacon on the paper towel to drain and cool slightly. 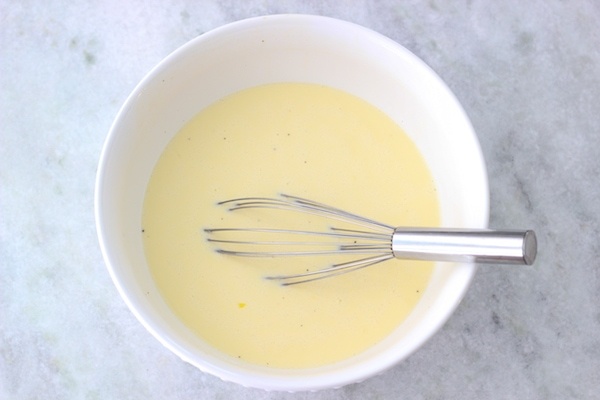 In a large bowl, whisk the eggs together until combined. Add the milk, heavy cream, salt and ground black pepper and mix to combine. Pour the egg custard over the bacon, onion and cheese. Place into the oven and bake for about 35 minutes, then cover the edges of the pie crust with aluminum foil so that they don’t get too brown. Continue baking for another 20-30 minutes, until the center of the quiche seems set. You can check for doneness by inserting a knife blade into the quiche and it should come out clean. 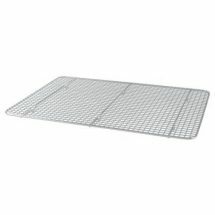 Remove the quiche from the oven and cool on a wire rack for 5-10 minutes before serving. 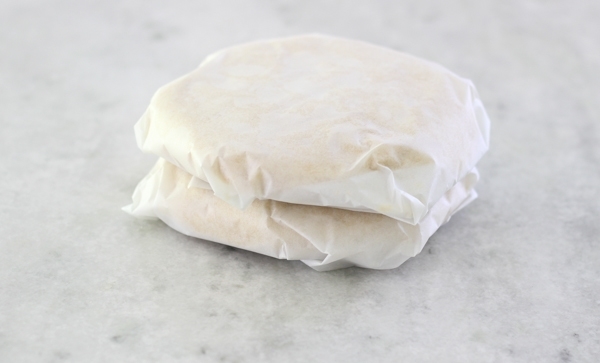 Shape the dough into a disc, cover in parchment paper/aluminum foil or place in a plastic ziptop bag and refrigerate at least half an hour or overnight. You can also make pie dough in advance and freeze it up to 6 months. On a floured surface, roll the pie crust out into a 12-14 inch circle if you’re using a deep dish pie pan and 10-12 inch circle. Ease it gently into a deep dish pie plate. Crimp the edges of the pie to make a pretty edge all the way around. 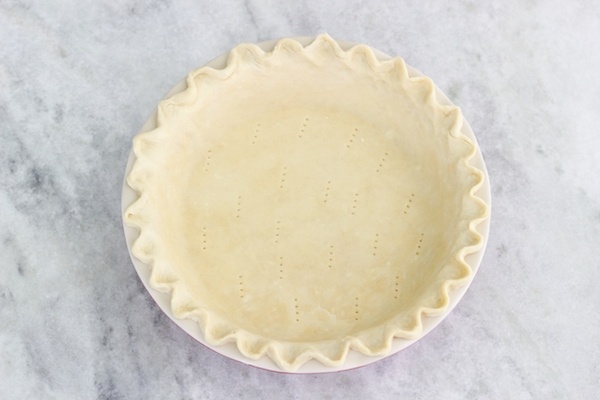 Use a fork to make perforations all over the bottom of the pie crust. Place the pie shell in the freezer for about 30 minutes. Chilling the rolled out pie dough before baking does two things: prevents the pie dough from shrinking and slumping while baking as well as keeping the pie crust from getting brown too quickly. In this recipe, it’s extra important, because we’re using a large amount of custard, so it needs a long time to cook through. Meanwhile, preheat the oven to 375 degrees Fahrenheit. Cover the entire pie with parchment paper or aluminum foil and distribute pie weights or dry beans into the center of the pie. Bake in the preheated oven for about 15 minutes. Remove the parchment paper with the weights and continue baking the pie shell for another 10-15 minutes. 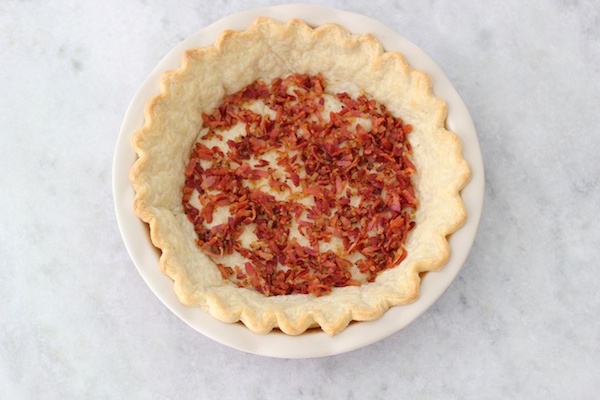 Distribute the bacon, onions and grated cheese on the bottom of the partially baked pie crust. 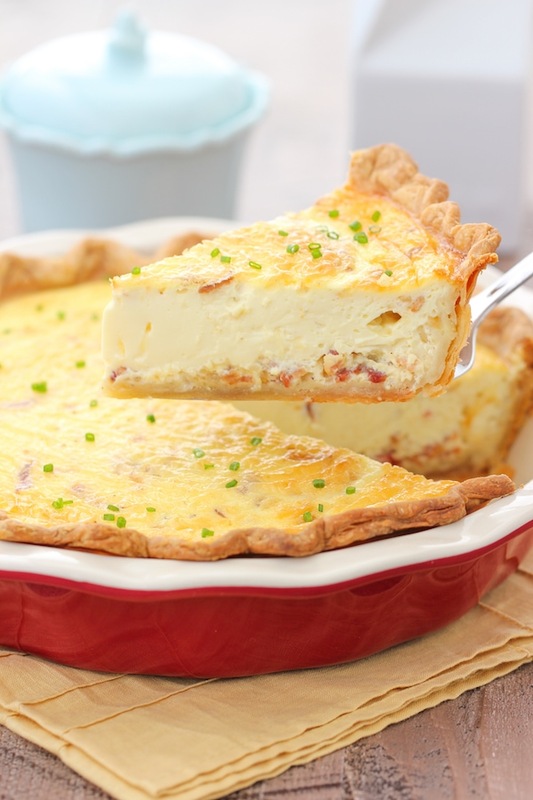 If you want the quiche to have a lot of bacon, onions and cheese throughout the entire egg mixture, you can certainly add more. 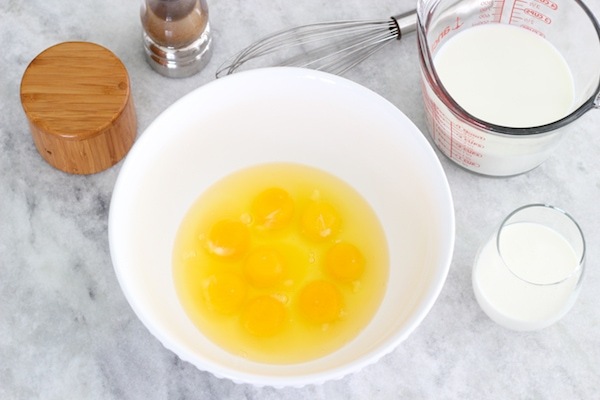 In a large bowl, whisk the eggs together until combined. Add the milk, heavy cream, salt and ground black pepper and mix to combine. Pour the egg custard over the bacon, onion and cheese. 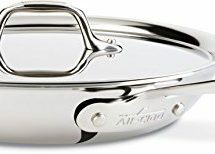 Place into the preheated oven (375 degrees Fahrenheit) and bake for about 35 minutes, then cover the edges of the pie crust with aluminum foil so that they don’t get too brown. Continue baking for another 20-30 minutes, until the center of the quiche seems set. You can check for doneness by inserting a knife blade into the quiche and it should come out clean. 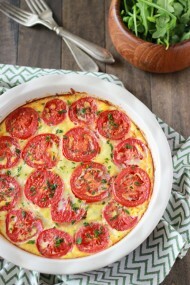 Remove the quiche from the oven and cool on a wire rack for 5-10 minutes before serving. I absolutely LOVE quiche. I am intimidated by homemade crust though. 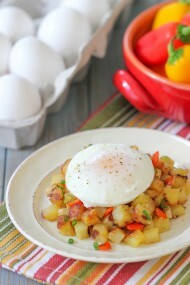 Looks scrumptious, I might just have to give it a go one of these days when I have overnight guests this summer! I think once you try it you’ll see that it’s actually quite simple, Kitti:). 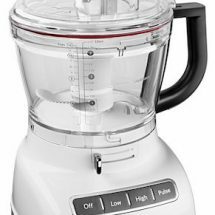 If you have a food processor, it makes it even easier. The main thing is not to overwork it. 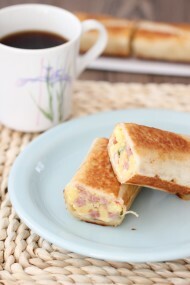 Thanks for this breakfast recipe. Looks great. Can I skip the crust and do it without a crust? I once had a quiche lorraine made by a French woman in semi-rural France. She and her family kept their own chickens. As she was making the quiche she handed the eggs to me to show me that they were still warm from the hens. She also sent her daughter next door to milk the neighbors’ goat. Fresh eggs, fresh milk — an aspect of French cooking that a lot of Americans ignore. Olga , can this be made the night before and preheated next morning ? Yes, Zhanna. This is what is so awesome about this dish:). Thank you, Elina! I hope you will love it:). We recently had quiche Lorraine at a wonderful French restaurant that was one of the best things I ever ate. It looked exactly like yours. 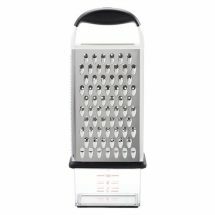 I’m making your recipe now. Thanks. I hope you love it, M’lissa. I think Quiche Lorraine is such a special meal:). Hi Olga! 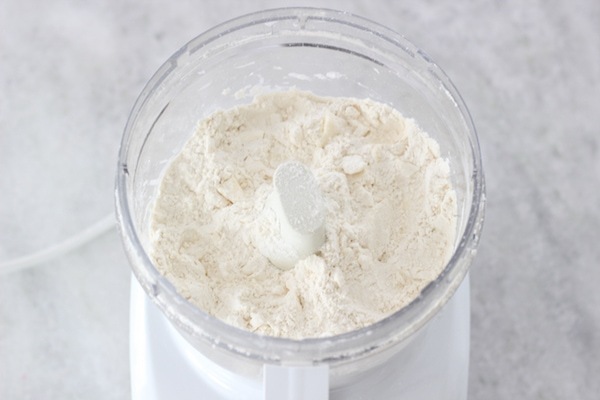 Do you think it would be fine to substitute all or at least half of the flour with whole wheat flour? 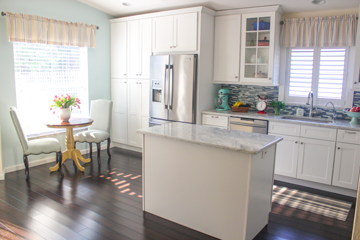 Thank you for posting such delicious recipes and inspiring posts on your blog. I have been cooking many dishes from your blog for years. Blessings to you and your family! I have never tried using whole wheat flour in this recipe, so I can’t tell you if will work out or not. If you try it, I’d love to hear your results. So, I made the quiche with half all purpose flour and half whole wheat flour, and it turned out great! The pie crust was not too dry and had good flavor. That’s great, Natalie. I’m so happy to hear that it worked out for you. Thank you for letting me know. Olga, this was delicious! Thank you so much for such a yummy, easy to follow recipe!